Different varieties of heirloom tomatoes, peppers and eggplants, along with zucchini and squash have always been on my summer gardening list. Once October hits, all bets are off and everything becomes a barren wasteland until spring. My goal is to continue becoming more self-sustainable each year, thus saving money while also allowing me to ensure the quality of my crop and what I am eating. And besides, you can’t get more local than growing your own! So this fall, I learned that growing garlic really is quite simple and decided that it was worth using up the garden space throughout the winter to grow it- in the spring, I will expect I will either regret this decision, or will have already organized more space for my garden. 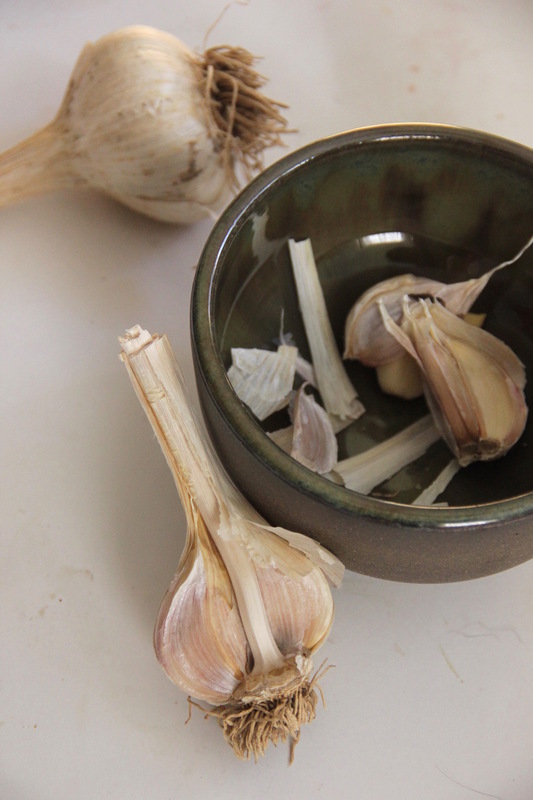 Garlic may not be the most exciting food, but it’s a staple in my cooking. Next year I hope to add to my growing staples by adding in onions as well as potatoes! 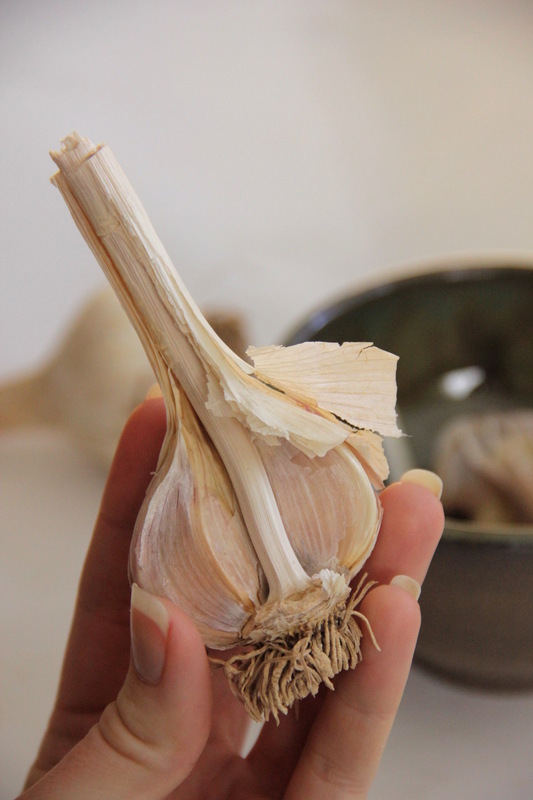 Buy a head of garlic (or several) from a local farm or seed company- garlic from the grocery store may not work well in your region. Separate out the cloves, leaving on some of the papery exterior on each clove. Plant in a sunny area ideally 6-8 weeks before the first frost (if you live in the south however, look to plant in February or March). Put the cloves in about 4 inches apart from each other and 2 inches deep into the soil with the wide part down and the pointy tip up. 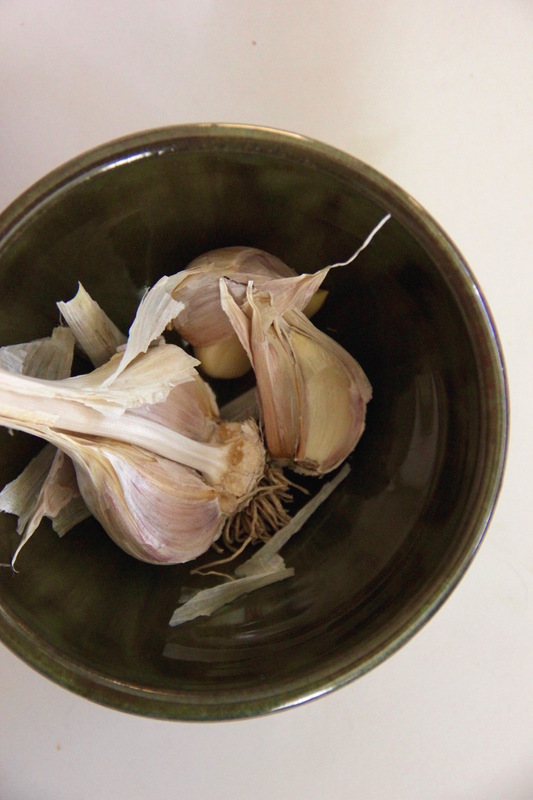 Harvest by digging up the bulbs in late spring/early summer (depending on the climate) once the leaves of the garlic have turned brown. Allow the bulbs to dry for several weeks in a shady, dry area with good circulation. As shoots come up in the spring, keep an eye out to see if you need to fertilize (garlic loves lots of Nitrogen)- especially if the leaves start to turn yellow. 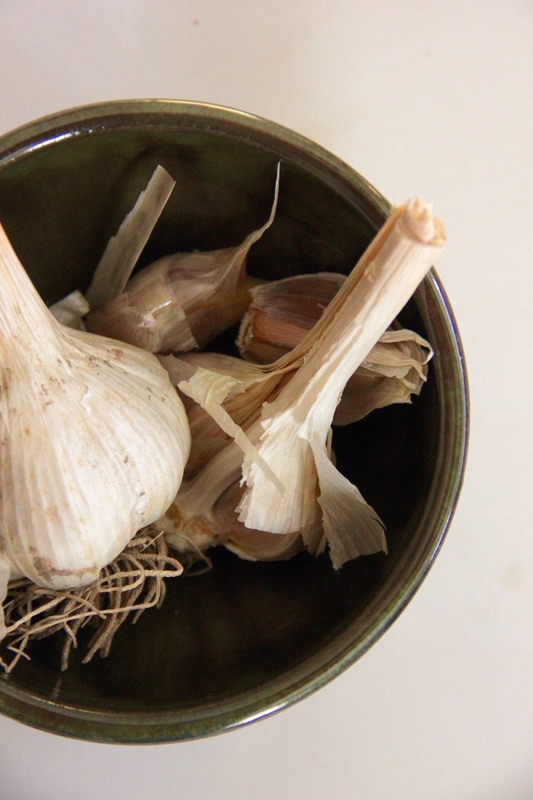 If you live in cold climates, you’ll want to cover your garlic cloves with straw or mulch in the winter and uncover it in the spring once the ground is warm enough. If you live in an apartment plant each clove in a large pot that is at least 8 inches in diameter and fairly deep on and outside deck or windowsill.